I remember when I was in my first year of teaching, I had a dream. A goal so big, I knew I would never be able to fully reach it. I have a love of novels, and Nicolas Sparks can whisk me away into a love story and make me cry. I wanted the same love of reading for my students, so over the years I built a fantastic library with a ton of titles. In my first year of teaching I wanted to structure my class so my students could pick out any book that they liked and read it. I didn’t have a plan of how to do it, but I wanted to make sure my students could comprehend what they were reading and read on an appropriate level. Thanks to Donalyn Miller that dream is now a reality. My students have the freedom to read whatever they like each week, and they respond to me in reading journals. They are now in love with reading, and I have noticed there are a lot of peer suggestions happening within our classroom. Even my most reluctant readers are flying through chapter books! This past week to prepare for PASS writing instead of doing a writing prompt we wrote about our favorite authors. This way students in our class and those who traveled in our hallway could see who their peers enjoyed reading. My students started off our week researching. 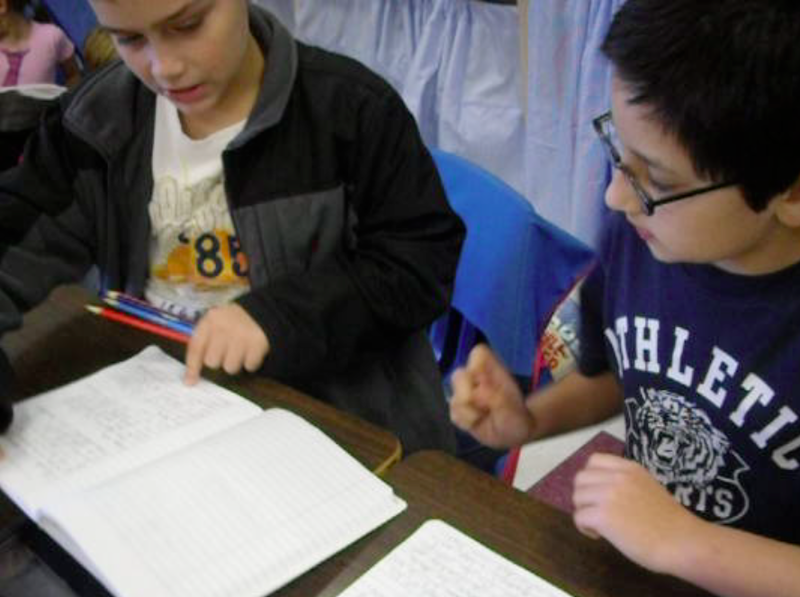 We had a mini-lesson/review on how to research, and how to judge if the research was valid. I launched with the State Farm commercial because they CAN put information on the internet that “isn’t true.” We discussed what others should learn when reading the paper my students created. After that, the students started searching the internet for valid and relevant information, and then they jotted the facts they found into a four square. Jonathan explains why Will’s sentence doesn’t make sense. After editing was complete the students typed their final copy into the app Strip Design. This app is usually used to create comic strips, but I like it because you can basically lay out any type of file with this app. 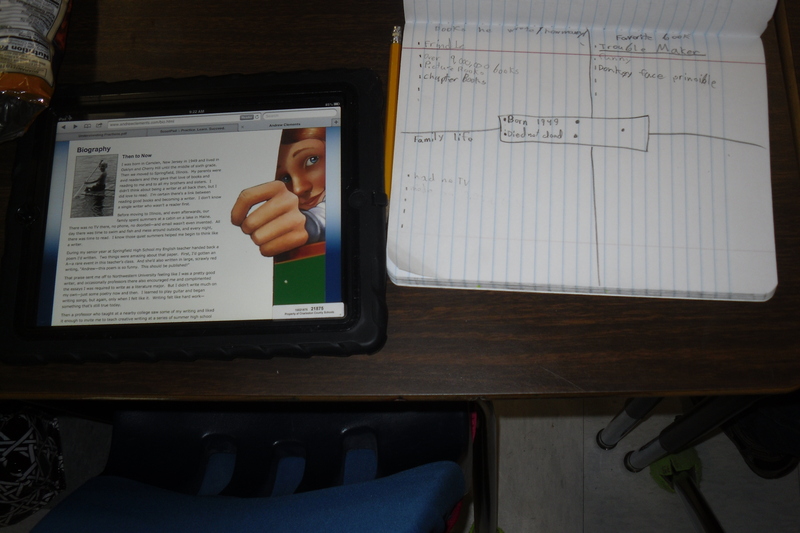 We have used it to create graphic organizers, type up papers, and compare and contrast topics in Social Studies. The students had to create an interesting title and write their paper on one page. I wanted to amp up their project with an additional graphic feature that would make people want to read their papers. A technology guru at my school, Kristi Meeuwse, uses an app called Pic Collage in her kindergarten class. I decided that I would brave a new app to spice up our work. I was nervous going into using a new app without much time to work on it myself, but my kids ran with it. They had created amazing graphic features to pair with their writings in a matter of ten minutes. The best part is they used relative graphics to interest others to read their writing. 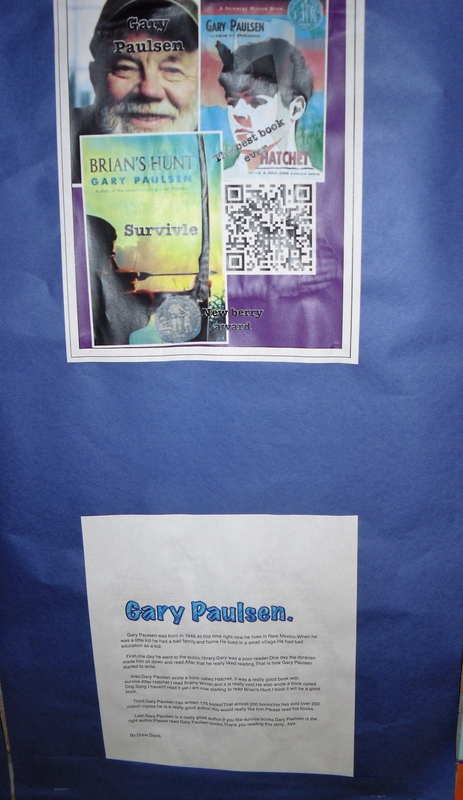 Some students even created QR codes that link the author’s website and put it in the collage. 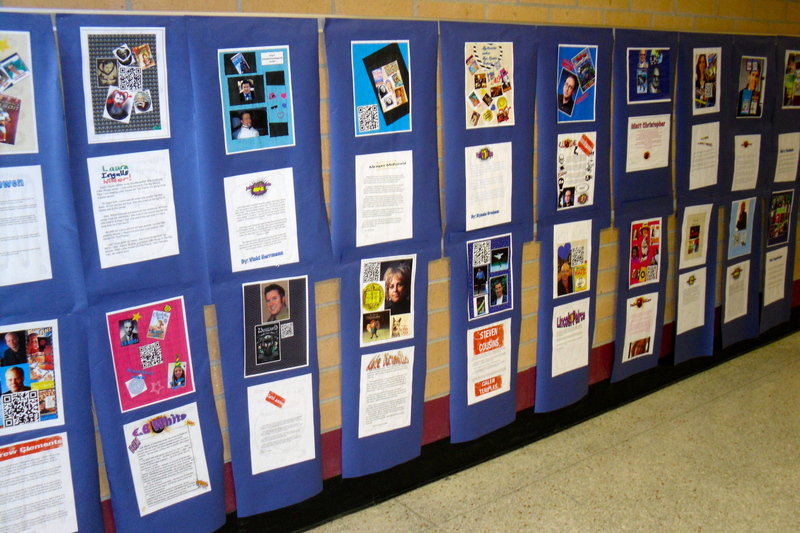 Now, we have a gallery set up in the hallway highlighting 27 authors that fourth graders independently researched. I can’t wait until Monday morning when their 4th grade peers get to see what they created. Hopefully, my class can transform reluctant readers in other classrooms too! Maybe our Author Gallery will tempt other reluctant readers in the 4th grade to open a chapter book! Project completed by my favorite ex-reluctant reader! « Fraction Bars without all of the Fuss!